In this post I am going to look at the current limitations of these APIs and see how we can overcome them while still relying on this frameworks to actually write the logs. Let’s start by looking at some of the problems inherent to the Log4J-family API. The problem with this API is that the String containing the debug message is computed even though the debug level is disabled. If we had checked the log level first we could have avoided a (potentially expensive) string computation. This surely solves the problem but on the other hand it clutters the code with cumbersome if statements. We’d like to have our log statements as discreet as possible so that they don’t dilute too much the intent of the code. A partial solution to this problem was to use place holders in the messages so that the placeholders are only replaced if the log level is enabled. Now if the debug level is disabled this call still performs a very expensive computation because in Java the arguments are always evaluated before the function call. Now the message is only computed if the debug level is enabled and avoid the expensive computation otherwise. This API is already available in JUL and Log4J2 but not in SLF4J which is still widely used on the JVM. Of course Scala support similar lambda expressions although not (yet) compatible with their Java counter-parts. Scala also supports call-by-name parameters where such parameters are not evaluated before invoking the function. We can leverage this to avoid cumbersome if statements (and even lambda calls) in our logging API as we shall see. 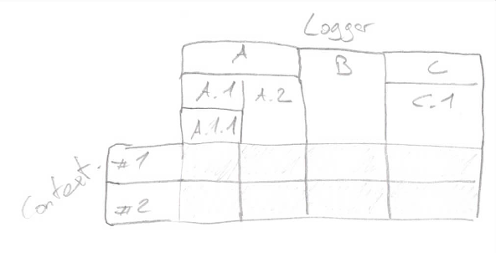 On Log4J-like APIs the log levels are defined per logger and there is usually one logger per class. It doesn’t have to be this way as one can create a logger with any given name, but a logger for each class has become standard practice. So much that the Logger.getLogger method also accepts a class as parameter. Anyway it means that the most fine-grained configuration level is the class level. Now imagine that your application handles thousands of requests per second and you have a problem with only a specific request (let’s say that the problem occurs only for a specific user). If you need to turn the debug logs on you have no choice but to enable it for the whole class logging thousands of useless debug messages per second. You’ll then have to look for that particular logs of interests among all of these messages. Not ideal! Both flow #1 and #2 go through the same loggers. It’s not possible to enable logging only for one request. Obviously we can create one logger for each user and enable the debug level only for the user of interests but that would be a lot of logger to deal with. Instead several frameworks (Log4J2, Logback, SLF4J) provides MDC (Mapped Dependent Context) logging. What we need is actually a way to enable a log level according to the content present in the MDC. Log levels are enabled globally. The debug level is enable for a whole class (or it isn’t) whoever calls the methods in this class. For example imagine a utility class for which you want to enable debug messages only when called through a given class. Well, there is no way to configure such things are debug messages are enable/disable globally for a class. Many times I have seen recommended logging policies trying to define when a log level should be used or what components should be logged in a message or even how log messages must be formatted… There were always good reason behind such policies, however in the end of the day is the developer who writes the log messages and most often than note these policies are not correctly applied in the code based. It’s true that code-review process can help here but the truth is that logging is never a priority. 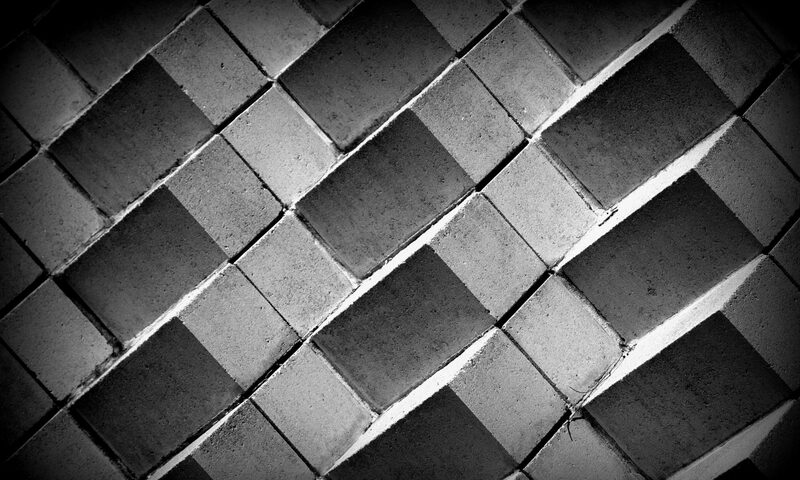 As a result log messages are many and varied making it more difficult to look for patterns. In Log4J-like framework that provide MDC functionality the context is always build up using global method. Of course using a global method would be terrible in a multi-threaded environment. What happens if multiple users requests are served simultaneously. Does it mess up the entire context? Of course not! In fact the MDC is backed by a ThreadLocal variable. It means that although it looks like that there is one unique global variable there is actually one map per thread. That’s nice because as long as we stay on the same thread we can use the MDC to pass the context around. Calling a nested method preserves the MDC context and in fact the MDC content is also available within the nested method where it can be enriched or used in log messages. The problem comes when the control flow passes onto another thread. This is the case when calling a service that is backed up by a dedicated ThreadPool or ExecutorService. The MDC doesn’t cross such boundaries. The developper needs to get the current MDC and pass it explicitly to the target service. Logging is most often not a priority plus it’s not easy to test. How do you check that the expected log messages have been logged? Do you have to read the log file of the tests? The main problem is that the logger instance is retrieved directly inside the class. Now that we’ve seen the limitations inherent to the Log4J API let me introduce Logoon, a flexible log service that runs on top of any Log4J-like framework and addresses the above limitations (or at least tries to). Logoon is an extra layer that sits on top of any Log4J-like frameworks (or anything that can log messages – it can even work on top of System.out). Its main component is the LogService. This components replaces the Logger used to log messages in the application code. Below the LogServicesits a binding layer used to bridge the LogService to the underlying logging framework. Logoon also defines its own log levels which are identical to the ones provided by Log4J. Finally the LogContext provides the MDC functionality. The LogService is the main component. It needs to be extended into a subclass that provides a LoggerAdapter and LogLevelConfig instances. All logging methods take by-name parameters allowing to compute the messages only if the required log level is enabled. As info takes a by-name parameter the message parameter is not evaluated on the function call. It allows to check for the effective log level first and then compute the string only if the log level is enabled. We got the best of both world: A nice syntax without surrounding if statement nor lambda call. However this is not the recommended usage as it always leads to inconsistent log messages spread throughout the code base. LogService is also a natural place to gather all the logs messages of an application or service. override val name: String = "RestApi"
By gathering all the log messages into our LogService it’s a lot easier to come up with consistent logging messages. All the log messages have been replaced by specific business calls log.restApiCalled(...), etc. It makes the application code much clearer with short and concise logging calls and all the log messages are “unified” inside the ResApiLogService. Moving down one layer, let’s see how Logoon integrates with existing frameworks. In fact it doesn’t impose any framework at all. All it needs is a way to log messages. This is done by implementing the LoggerAdapter trait. As you can see there is no constraints imposed here. All you need to do is provide an implementation of this trait. It can even be implemented using System.out. You can have a look at some adapters examples in the test directory. Here again there is no constraint on the implementation. It can be done by converting the log levels and then delegating the calls to the underlying frameworks. It can also be done using a simple Map[String, LogLevel] instance. The LogContext is provided as a regular Map[String, String] to be easily compatible with the MDC API provided by the underlying framework. All you need to do is place all the entries into the underlying MDC (if available) before logging the message. Logoon strives to provide fine-grained control over the log levels in order to be able to enable logging only for the required messages. The main idea is that log levels now depends on the content of the log context. Whenever the LogContext contains a user.id entry with the value 1234 the DEBUG level is enabled. That’s quite powerful as it’s now possible to enable logging on many different criteria. Note that the LogContext always contains an entry log.service for the log service used to log the message. This entry can be used to set the log level for a given service. As the LogContext contains multiple values there are probably multiple log level configured for a given context. In this case it’s always the entry with the lowest value that is chosen as the effective log level. However this is not supported and it’s not directly possible using the underlying frameworks for the level configuration. One of the caveat of the Log4J-family frameworks is that the log level configuration are global. Once a logger is enabled it is enabled for anyone who calls its methods. Using such implementations allows us to configure different log levels for the same key. For instance MyRestService can use a LogLevelConfig where level for user.id.1234 is set to DEBUG. At the same time we can have another service with a different LogLevelConfig instance where the level for user.id.1234 is set to ERROR. Note that as the underlying logging is performed by a Log4J-like framework, logging must be enabled for any loggers used by the LogServices. In the above example we used 3 loggers: RestApiPerf, RestApiAlert and RestApi. All log levels must be enabled for these loggers in order to be able to actually log the messages. The actual log level will be determine by the levels set for the log context entries. The MDC functionality is provided by mean of the LogContext. The LogContext is just a wrapper around a Map[String, String]. It is passed as an implicit parameter to any of the log methods of the LogServices. The implicit parameter provides the best flexibility as it allows to both specify an explicit context or use one available implicitly in the current scope. It is also immutable so it can be passed in onto other threads without much concerns. As LogServices are not a global objects (well they can be, but they don’t have to) it’s much easier to inject mocked instances into the code under test, making sure that the expected logging methods are invoked. The Log4J-style API widely use on the JVM today is a low-level API that provide a tight-coupling between the application code and the logging framework. Moreover the global logger configurations prevent fine-grained logging. Logoon is an experiment that tries to solve this issue by adding an extra layer on top of the Log4J-family framework, although it doesn’t depend on any of these framework, letting the user choose and implement the binding of their choice. All the source code of Logoon is available on github under the MIT License, so feel free to have a look, try it and let me know what you think (or contribute and help to improve it)!